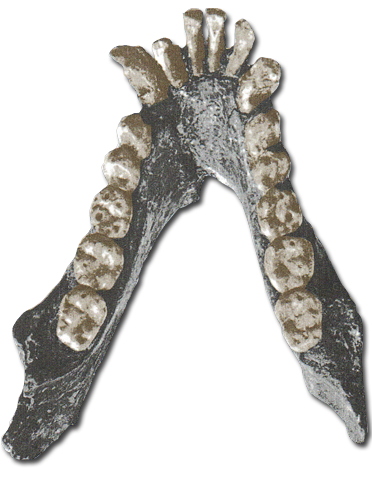 Pliopithecus is a genus of early primates comparable in body and dental size to that of the lesser apes. 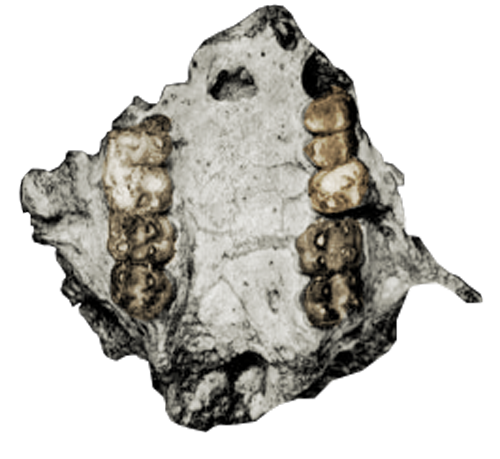 Represented by four species, P. antiquus; P. piveteaui; P. platyodon; P. zhanxiangi, Pliopithecus is believed to be an ancestor of modern gibbons and siamangs (Fuentes). Tall and narrow incisors, long and narrow lower molars, and broad, short upper post-canine teeth are a suite of primitive dental characteristics shared by the genus (Hartwig). A suite of dental characteristics displayed by the type specimen are all that distinguishes P. piveteaui from the other members of the genus. 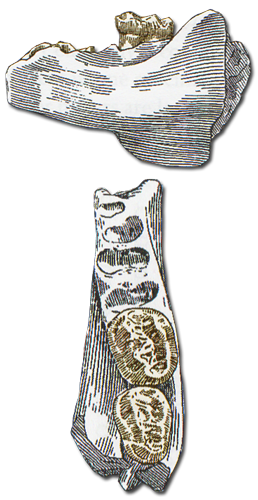 This mandibular fragment exhibits a distinct molar morphotype containing a very small and tapered M3 when compared to the distally narrowing M2 (Hartwig). The teeth are very small, but in the range of P. antiquus. Two upper teeth are known from the species, a P4 and M3. When the P4 is compared to an isolated P4 from Poland of either P. antiquus or P. platyodon, it is unconfirmed as to which species the isolated P4 belongs to, that of P. piveteaui is much smaller and broader (Hartwig). Only a small number of dental characteristics separate this species from the remainder of the genus: M2 displays a buccal cingulum, P4 has a small buccal surface, and the lower molars from M1 – M3 increase in size at a lower ratio than the others (Hartwig). 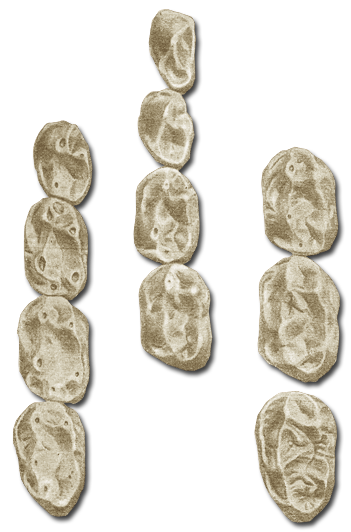 Dental size of P. antiquus is among the smallest of the genus. This species differs from P. antiquus by means of greater dental size. The P3 is broader and the lower molars are longer and more rectangular with a greater increase in size ratio from M1 – M3 in P. platyodon (Hartwig). Some researchers believe that samples of both P. antiquus and P. platyodon are of the same species.